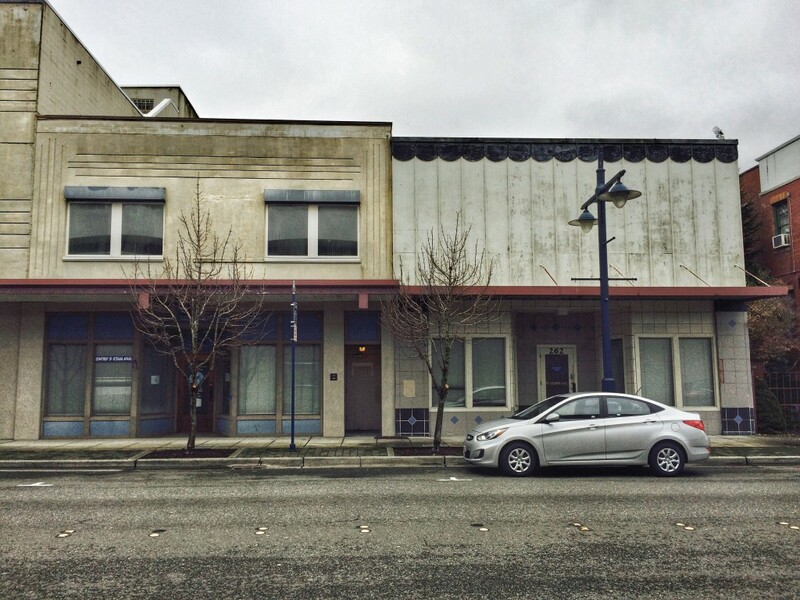 The Bremerton beat interrupts your regularly scheduled day to bring you six updates about downtown Bremerton. 1. Apartments progress: The $9 million apartment project known as The 606 is starting to grow upward. Work on the 71-unit complex, branded by its developers as “upscale,” began in November near the corner of Burwell Street and Park Avenue. As you can see (above), the stick work on floor one is coming together. The apartments are slated to be completed in September. Another apartment complex, above the Manette Bridge, is slated to begin construction as well. Wes Larson, managing partner of Sound West Group, said they’re hoping to break ground in March on the $15 million Spyglass Hill project, which will add another 80 units downtown. 2. 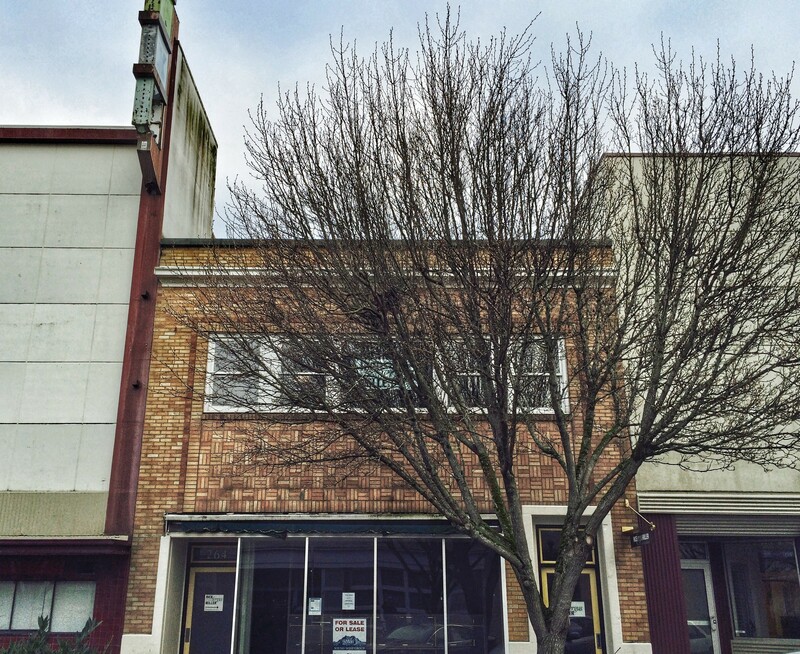 Demolition looms: While those go up, one downtown Bremerton building will come down. The old storefront at 262 Burwell Street, seen at right above, will be demolished in the next few months. “Sooner rather than later,” said Vic Ulsh of Bradley Scott real estate, who represents the Bremer Trust that owns the structure. There’s a chance the building next to it (to the left) might be torn down as well. They were both once occupied by the Department of Veterans Affairs. And of course, there’s also the big building on the corner: the old Bremer-Wyckoff building remains vacant. 3. 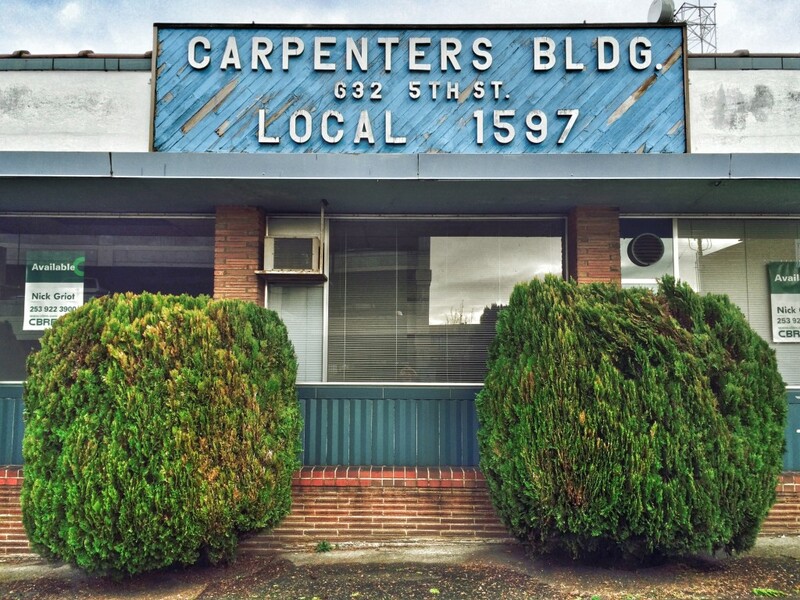 Carpenter building sells: The Pacific Northwest Regional Council of Carpenters sold their building at 632 Fifth Street in November for $100,000. The 12,800 square-foot building was assessed at $464,000 but I believe had been vacant for some time. 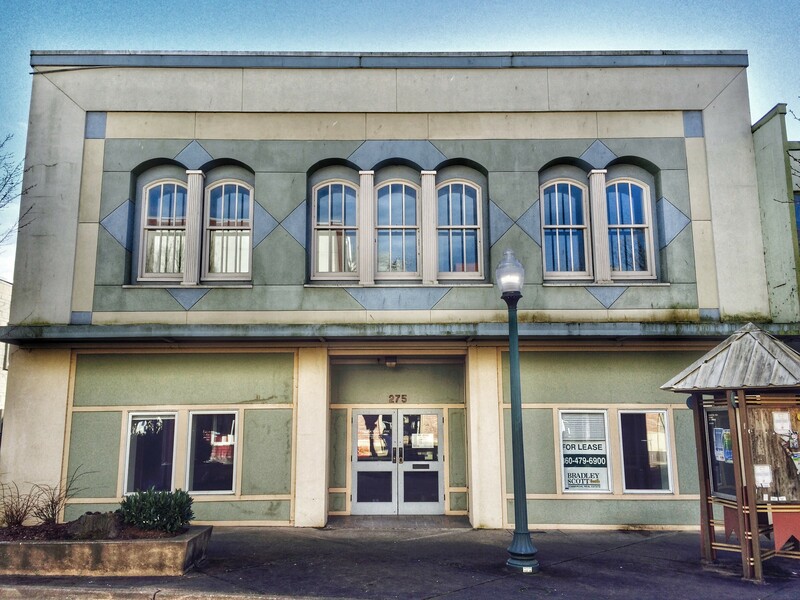 The buyer, Bremerton Investment Property LLC, lists a Bellevue address. I’ve attempted to touch base with the company agent but have yet to hear back. I’ll keep you posted. 4. 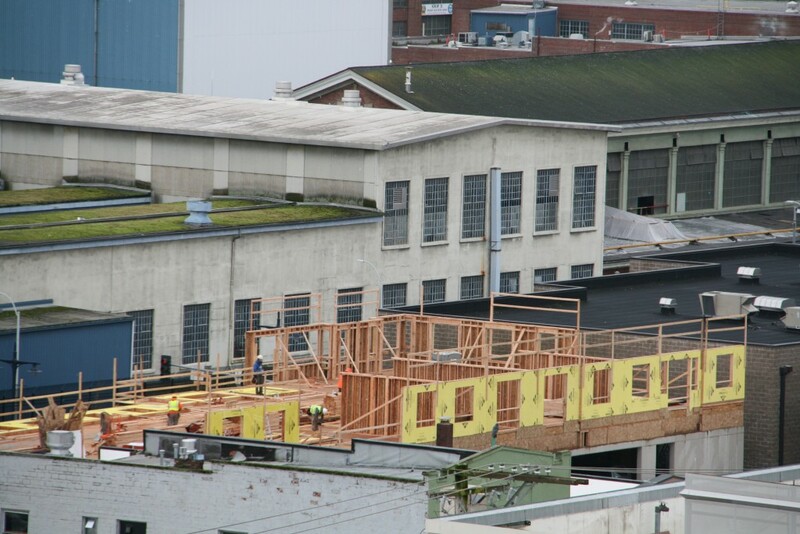 Brewery develops: Wobbly Hopps brewery continues its trek to open in downtown Bremerton, albeit at a different location. The owners, Jon and Sheree Jankowski had originally filed a liquor license application this week to place a microbrewery and taproom at 555 Pacific Ave (the Tim Ryan building), according to Tad Sooter’s Minding your Business blog. But plans have changed and now, it appears they’ve started the process to open at 260 Fourth Street, next to the old Roxy Theater. The building is owned by the Rice Fergus Building Partnership. Another brewer is eyeing space in the same area. Jesse Wilson, an assistant brewer at Port Townsend Brewing is running an ongoing Kickstarter campaign to open a “LoveCraft” microbrewery in downtown Bremerton. Bremerton is not bereft of beer makers – Silver City Brewery and Manette’s Der Blokken Brewery both have strong support in their own corners of town. But momentum seems to be growing for a brewery in the downtown business district. 5. Retail possibilities: At 275 Fourth Street, a new permit’s been taken out to clear space inside. Once home to the offices of The Doctor’s Clinic, it has been vacant for some time now. The idea is to make the building, owned by The Bremer Trust, more marketable as a retail space. “You look up and down Fourth Street, and there’s momentum toward retail,” Ulsh said. 6. 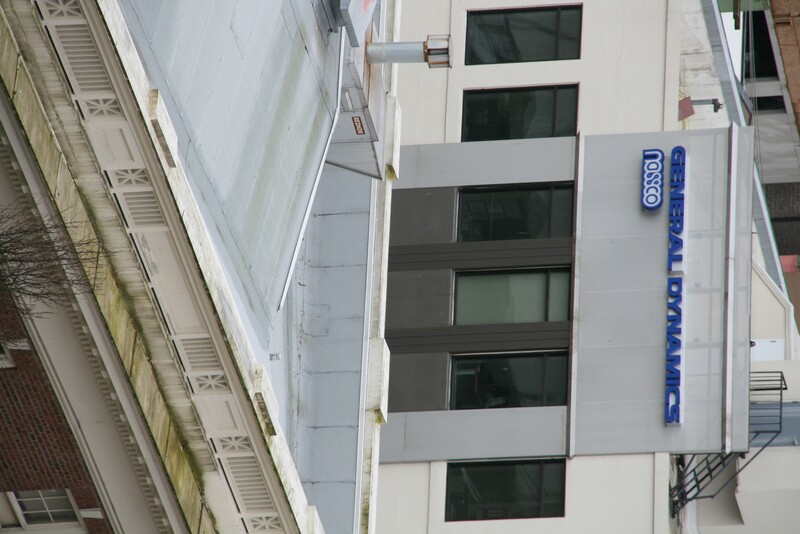 A new sign: You may have noticed Tuesday that the building once known as “D4” at Fifth and Pacific is officially no more. 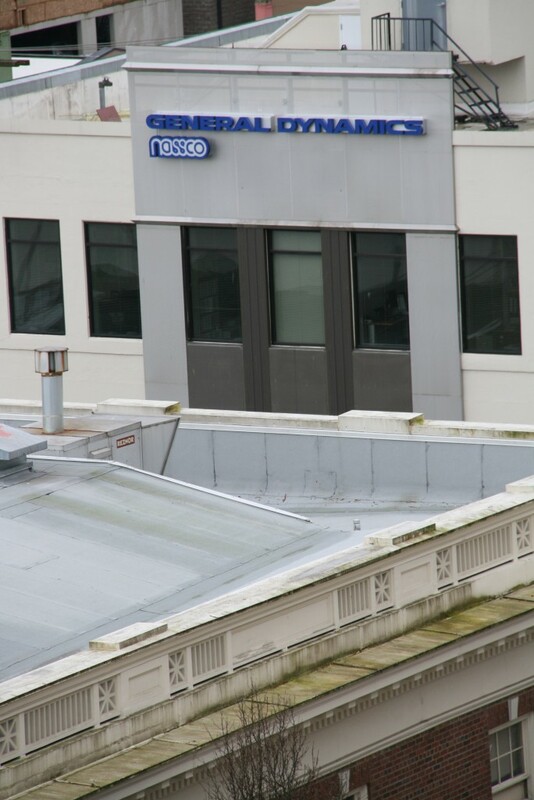 Crews put up a sign on the building to show off the company that recently moved in: General Dynamics. The company just got $33 million in contracts for work on the USS Nimitz, which just arrived from Everett. So I don’t think they’re going anywhere anytime soon. It’s exciting to see all the new developments downtown Bremerton. Of course what is sorely needed is a grocery store. I am a member-owner of the Kitsap Community Food Co-op and fully support opening a community owned and managed full-service grocery store in Bremerton. With all the new residential units downtown and the ones already there, a grocery store is crutial. A combo preschool/daycare center downtown would be awesome! Think of how much more time that would give commuter families to be together. If you get stuck in traffic, you don’t have to be late picking up the kids. I can see one with a roof-top playground and garden, sandwiched between that Co-op and a pet groomer. Oh, and did I mention how nice it would be to see a Dancing Brush or something equivalent? And why isn’t there a sporting goods store, however small, with all the foot traffic for games? Thanks for getting me going!! I think a downtown grocery, marketed to appeal to a growing group of consumers looking for organic foods grown and sold in an environmentally-conscious way is exactly what Bremerton needs. And it would be much more cost-effective for the community if the Kitsap Community Food Co-Op gets the first stab at reaching this market with a prime spot downtown. Members like me are willing to contribute whatever we can to see this happen. My hope is that keeping Bremerton businesses local and community-minded would go a long way toward preventing the kind of ghost-town Bremerton almost became when the big-name non-local businesses moved out in the 80’s.